Please welcome author Olivier Lafont on my blog today. Let’s get to know him through a question and answer session. I knew I wanted to be a writer at a very young age, actually. My love for storytelling and writing was evident very early. Since then I had written a lot of stories, even five hundred pages of an unfinished novel in high school, but ‘Warrior’ was my first major publication. Q: How did this book idea originate? I wanted to write a Young Adult book, after ‘Warrior’. There were several ideas I had, but the one I liked most centered around Christmas, it being a holiday favoured by young people. For me Christmas is symbolic of hope, peace, community, family. So, thematically, anything that threatens that had significance. Then it became a question of how to express, plot-wise, this idea. The notion of a Santa Claus ‘dynasty’ was interesting, because I could take and evolve the myth in my direction but also humanise it in a way that fit with my sensibilities. Q: What appeals to you about writing this kind of book? ‘Snowbound’ is the kind of book I would have loved reading when I was young. I think you have to write what what you like to read, I can’t imagine how it would genuinely work otherwise. I’ve always been passionate about fantasy and adventures, and blending our real world with a fantasy world has also been a personal favourite. ‘Warrior’ did a similar thing, in a different register. And taking a young person into a dangerous world, in fiction, is always fun. An adult may be equipped to handle things, but you just don’t expect that of young people, just because of their age. It’s always thrilling and inspiring to see a young, awkward person grow into their power, their personality, to surprise themselves and everyone else. There’s an aspirational quality to that kind of growth. That’s why we go to heroes in stories, to imagine ourselves winning in more explicit terms than in real life. Q: What problems did you encounter in the course of writing and publishing this work? No problems — those are the unmatched perks of publishing yourself in the new digital marketplaces! Q: Share about your favorite fiction books and authors. When I first became aware of my passion for stories, it was Lloyd Alexander’s ‘The Chronicles of Prydain’ and Brian Jacques’s Redwall series. Later I read Terry Brooks’s Shannara series, and Robert Jordan’s ‘Wheel of Time’. In more recent times I’ve enjoyed George R.R. Martin’s ‘A Song of Ice and Fire’ (Game of Thrones on HBO) and Mark Lawrence’s ‘The Broken Empire’ series. Not to forget children’s works like Enid Blyton’s books and C.S. Lewis’s ‘The Chronicles of Narnia’. Thanks for the answers, Olivier. The mention of Enid Blyton and Narnia took me back quite a bit. It was lovely having you here. Readers, if you’d like to know more about Olivier Lafont’s latest book SnowBound, click on the previous post. I’ve been quite tardy at blogging. Let me extricate myself from the blame by putting it all on the session break! With kids at home and trying to keep them entertained plus supporting daughter in her studies by taking her to a study camp…well, you get the picture. I’m really thankful to Rubina for snapping me out of the tendency to lag. Let me resume normal service by introducing you to a lovely lady who has got published by Indireads. 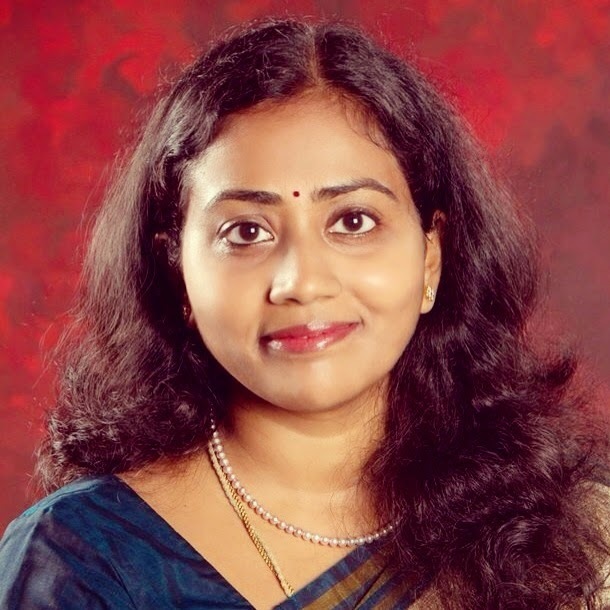 Please welcome Sumeetha Manikandan. Let’s get acquainted with her through a question and answer session. I live in Chennai and I have been writing for many years now. I have been a bookworm all my life. And that’s what prompted me to try my hand at writing. Earlier I used to write for pleasure but never thought of posting them as blogs or stories. I wish I had started blogging early on in my life. That’s one of the biggest regrets that I have. Mostly it is a germ of a thought or a feeling. The Perfect Groom was inspired by a true incident that happened to a friend’s friend. I heard it as an annecdote from a friend almost ten years ago. Perfect Groom is the story of Nithya, a young girl who wants to be independent but family circumstances and not-so-well-meaning relatives push her into an arranged marriage. Ashok comes with the tag of the ‘Perfect Groom’ – handsome, rich and an NRI. But Nithya soon discovers that her Perfect Groom was not so perfect after all. I read all my favourite books during this period and go for long winding walks while listening to Sting. 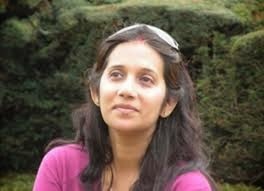 Do check out Sumeetha’s book. You can know more about it and read some reviews of it if you check out other posts in the Book Club Tours. Details and buy links below. 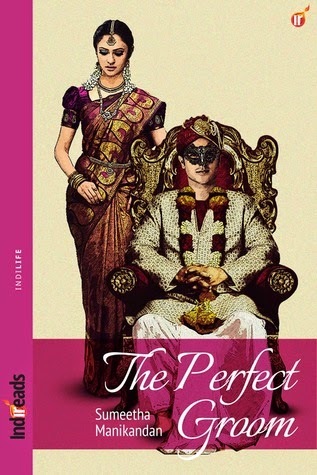 Her debut novella, ‘The Perfect Groom’ was initially written in a script format, which was later converted into a novella for Indireads. The Perfect Groom touches a taboo subject that is most often shrouded in secret whispers and exclamations in the tambrahm community. Inspired by a real anecdote, ‘The Perfect Groom’ is in parts the true story of a girl who rose above myriad challenges to make her own way in life. Please welcome Harlequin author and dear friend Adite Banerjie. Adite is looking forward to the release of her debut book ‘The Indian Tycoon’s Marriage Deal’. Let’s hear more about the book and the writing journey from the author herself by the way of this question-answer session. Thank you so much, Ruchi, for hosting me on your blog. I have been writing so long that I don’t remember a time I wasn’t! Soon after I graduated from college I did a course in journalism and I knew that I wanted to be a writer. After a fulfilling and exciting career in journalism I decided to switch to content writing and researching/writing about social development issues, and consumer and marketing issues. I tried my hand at fiction writing and got hooked to screenwriting. For several years I would crunch numbers and write reports during the day and lurk on screenwriting forums to learn the craft at night. Writing a novel was the only thing that I hadn’t planned to do. LOL. Actually a bit of both. There were times when I was writing up a storm and the book was virtually flying off my fingers. And there were times when I struggled to write even 500 words. If I wrote 100 words I would cut out 150! My life pretty much revolves around writing. If I’m not writing a book, I’m working on a script or an article or my blog. Q: What inspired The Indian Tycoon’s Marriage Deal? I have always been a fan of Mills & Boon novels that had a revenge theme. And I knew that I had to write a story about a girl who wants revenge. The rest just followed. Here’s the back cover blurb for “The Indian Tycoon’s Marriage Deal”. Maya Shome is an independent young woman who has had a pretty tough life. She works as a landscape designer. After the death of her only parent she vows to wreak revenge against the man who ruined him. Krish Dev is the reluctant heir of his father’s business empire. But he has serious issues with his dad and besides he is setting up his own business project. He knows how manipulative his dad can be and will do anything to stay out of his control. I have come to realise that a bad case of writer’s block usually means that there’s something in my WIP that’s not working. So I try to look at the problem from different angles and brainstorm different approaches and then go with the one that I think would work best. Someone very wisely said, “Either write something worth reading or do something worth writing.” I think, in my case, the first one is infinitely easier than the second! LOL. I plan to finish a script that I have begun and am very excited about. I have just finished my second book for Mills & Boon which is set at a big fat Indian wedding. Dilwale Dulhaniya Le Jayenge (Hindi) and Casablanca (English). Actor you’d fall for in a heartbeat. Sea of Poppies by Amitav Ghosh. Domino’s pizza or any other takeaway! Great answers, Adite! Lovely to have you here and looking forward to reading your book.